Richard J. Manno earned his undergraduate B.A. degree in Speech Arts from Adelphi University in Garden City, New York. 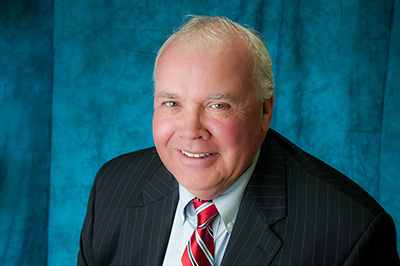 After graduating from Western New England College, School of Law in 1984 with his Juris Doctor, Mr. Manno worked in the private sector for Walt Disney World's labor relations department for several years. In 1990 Mr. Manno successfully passed the Florida Bar examination and was licensed to practice law in Florida. Mr. Manno started his legal career with the 9th Judicial Circuit's public defender's office; this challenging experience gave him a wealth of trial litigation experience that has served him well throughout his career. Mr. Manno served the people of Florida for three years in the public defender's office and was promoted to Felony Division Chief during the last year of his service. In 1993, Mr. Manno joined what is now considered one of the largest Central Florida personal injury firms as a partner in their workers compensation department, and has been representing injured workers exclusively for the past 21 years. In 2009, Mr. Manno founded his own firm with the belief that personal service to his clients would be a more effective way to conduct his practice. Mr. Manno is an experienced litigator who has taken hundreds of workers compensation cases to trial in his career. Each client's case is treated with exceptional care and attention. 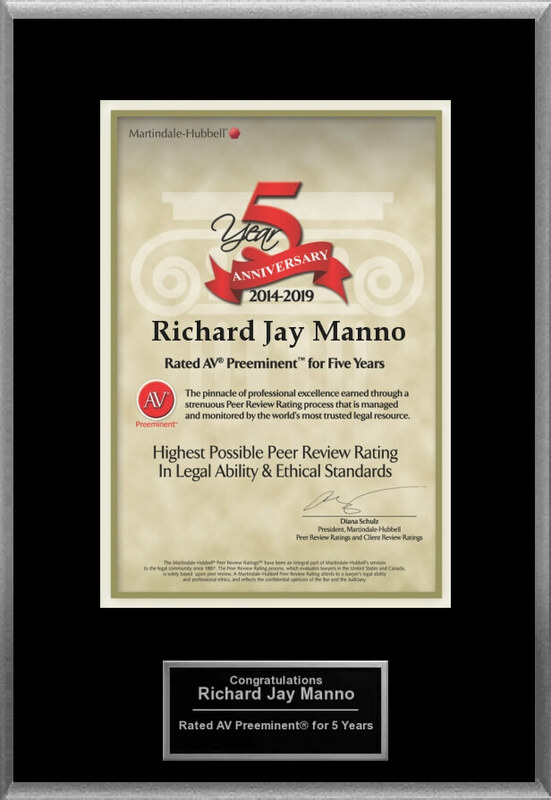 Mr. Manno treats every client's case with the highest degree of professionalism, respect and integrity. He has successfully represented thousands of clients during his career helping them secure benefits in a difficult, complicated, and often times unfair workers compensation system. Mr. Manno participates in a number of professional and community organizations. He is a member in good standing of the Florida Bar; on the executive counsel of the Florida Bar Workers Compensation Section, where he currently serves as the Technology Chairman; Mr. Manno is past chairman of the Central Florida United Way Budget Committee and past president of the Orange County Youth Lacrosse ( OCYL) League. Richard is married to Elizabeth Ward Manno and between them they have ten children.